In todays increasingly complex business world, information is power. In fact, ready access to data is essential not only to compete efficiently, but also to meet the growing demands of regulatory authorities. iGPS' intelligent platform is the perfect tool to help business meet today's and tomorrow's information demands. 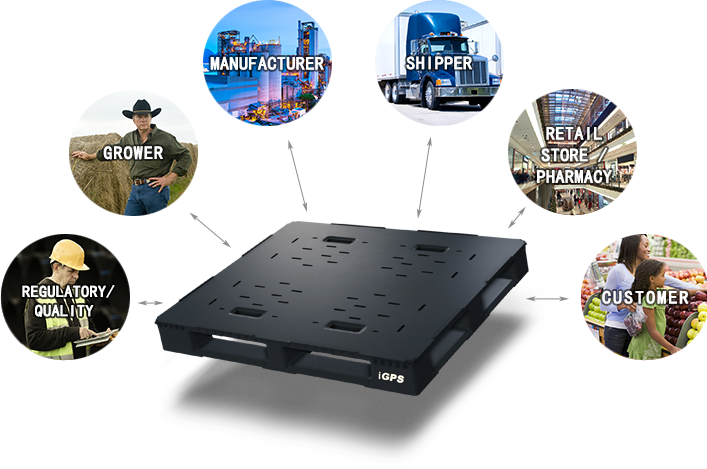 Each iGPS platform has integrated RFID technology that bears that platform's unique serial number or GRAI (Global Returnable Asset Identifier). This information can be captured via instantaneous RFID scanning or by reading the bar code found on each pallet.